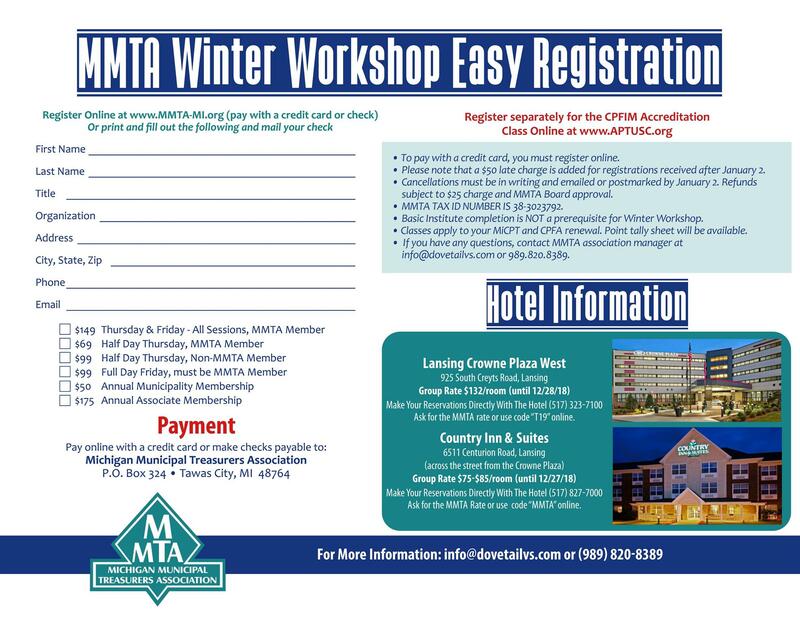 Thank you for making Winter Workshop 2019 an incredible experience - please fill out your on-line evaluations for Thursday and Friday! Need to stay overnight? 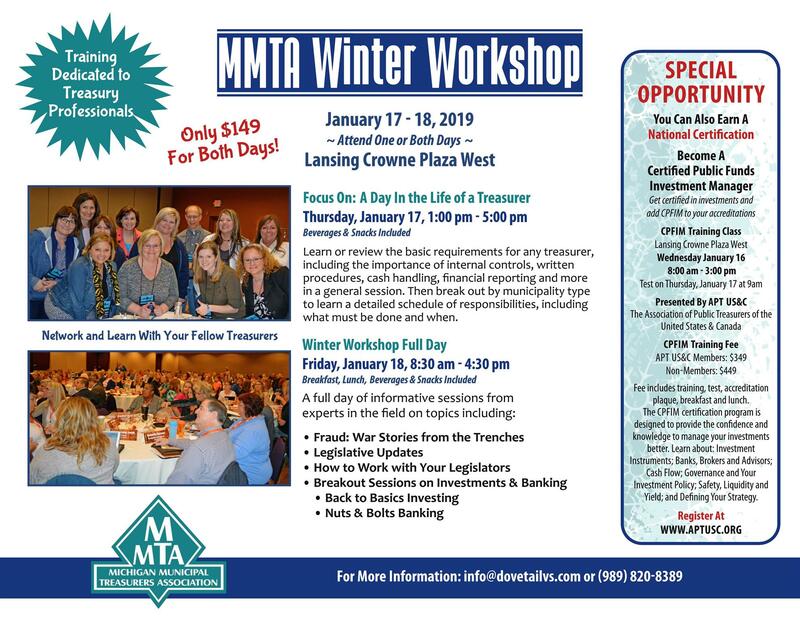 Don't forget to reserve a room at either the Crown Plaza West (click or call 517-323-7100, use group code "T19") or the Country Inn & Suites (click or call 517-827-7000, use code "MMTA").